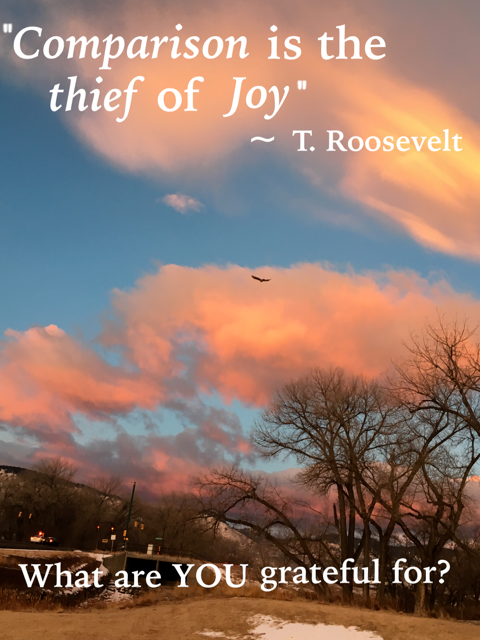 What joy will you bring today? You may have heard us use this Theodore Roosevelt quote before – it’s one of our favorites! Comparing ourselves to others involves a lot of judgment. If we compare that “we’re better” or perhaps “less than” it can be troublesome and bring us down. Let’s redirect those sometimes instinctual comparison thoughts. How do I contribute to our team? Take a moment and answer those questions or, you may wish to write it down. Journaling is great. Where you are right now may be the beginning of a new journey. If we’re comparing ourselfves to someone else, they might be in the middle of their journey or are taking a different path. The key is trusting YOUR journey and path. What brings you joy? This is where to look. Write it down. Start with one step. You may be wondering why we’re writing about joy in our newsletter. Is it really a hot topic or essential to flourish our business? Of course you already have a foundation of compliance and excellence. We imagine we’ve all had experiences of moving through a business and it seems like the team would rather be chewing glass than working or assisting patients/ customers. When you bring the joy – it distinguishes your business and your energy from the rest. Working with JOY allows you to more easily be the employer of choice and more easily increase retention. “We need to give each other the space to grow, to be ourselves, to exercise our diversity. Previous PostAppreciation ~ Thank you, Riana! Next PostAre your facilities’ standards up to par?